Up to the time of the arrival of General Merritt there was complete harmony and a thorough understanding and cooperation between the Americans and the Filipinos, but on his arrival the relations were entirely changed. He alleged that his instructions from his government were to avoid the Filipinos, and to take no part in their actions or their cause. Yet instructions were given to the American soldiers to salute Filipino officers as they would salute their own, and in proof of this statement an American officer who was attached to an American general subsequently admitted this to have been true, but added, " How could you expect American soldiers to salute Filipino officers when they are careless about saluting their own?" General Merritt still permitted the Filipinos to engage the Spaniards and to defeat them in all parts of the outskirts of Manila and to drive them into the city walls; and later he reaped the benefit of these services which he repaid, as will be shown, by a deliberate system of insult and persecution. Instead of temporising and explaining the position of affairs to the Filipinos, or giving them the assurances that their past services would be recognised in some shape or form, he apparently thought that his proper course of action was to ignore them entirely, refuse all overtures from them, and, in fact, as later events will demonstrate, humiliate and abuse them. Up to this time the campaign in the Philippines had not cost the United States one single life. The first loss on the American side occurred during the night attack of August, which was really an unnecessary sacrifice. General Merritt thought that he could inspire the insurgents with a terror of his volunteers' ability to fight, forgetting (or being ignorant of the fact) that fear is unknown to the Filipino race. They had subdued and terrified the Spanish by their repeated victories and still more repeated onslaughts, but General Merritt desired unnecessarily to attack the Spaniards, though they were entirely under the control of the Filipinos. As Mr. A. H. Meyers says:"For evident reasons the Spaniards had a mortal dread of the Filipinos, and all the fighting was a running one. In the advance line of trenches were ever the Filipinos, and at the back of them the Americans. To satisfy a thirst for glory the Filipinos were ordered to evacuate the line of trenches which they had constructed and held, and against which the Spaniards had attempted no attack. But as soon as the Americans occupied these trenches, the Spaniards set to work and tried to carry the position with the result that many Americans will never return to their native land." I was informed by a prominent Filipino general at Malolos that, on July 31, 1898, the Americans attacked the old fort of San Antonio, then in the possession of the Spaniards at Manila. They were, however, forced to retreat before the heavy fire of the Spaniards into the village of Paranaque, which was well out of the range of the Spanish guns. So hurried, my Filipino informant told me, was the retreat that American guns and ammunition were abandoned. These were recaptured by the Filipinos and returned by them to the Americans. This statement was also corroborated by the Europeans in Manila. If such was the case, it is not perhaps so surprising, when we remember that these American soldiers were possibly undergoing their baptism of fire. Later, however, as I shall show, they were brave and daring, fighting fiercely for their own honour and their country's cause, whether right or wrong. Through the months of June and July, the Spaniards were attacked, harassed, and worried by the Filipinos, who frequently, in order to avoid unnecessary waste of ammunition, fired crackers close to the Spanish outposts, in order to terrify and alarm them. This was an old habit of the Filipinos during the revolution before the American war with Spain. Great anxiety existed in the Spanish lines. Manila had become a city of dread, poverty, almost of starvation, and isolated entirely, by reason of all railway and telegraphic communication having been cut off by the Filipinos. Bread could not be obtained because the stock of flour had been exhausted, and cattle were not to be had. The inhabitants were therefore compelled to eat the carabaos (buffaloes used for cart work), or horse flesh. Sickness and disease prevailed among the Spanish soldiers to an alarming extent, and European ladies, who had not left Manila previously, were compelled to take refuge on vessels in the harbour. This was the condition of Manila on the 13th of August when the city surrendered to Admiral Dewey and to General Merritt, under, it is reported, an agreement made between them and the Spanish governor. The Archbishop of Manila told me, and it was generally admitted by the British and foreign inhabitants, that the capture of the city was one of the most disgraceful farces in the history of modern warfare. The relatives of the thirty-two unfortunate men who were literally butchered in this prearranged opera bouffe performance should demand, through their congressmen, an investigation. An understanding existed between the American and Spanish generals so complete in its details that a certain building with a red roof had been designated upon which the white flag was to be hoisted. The infamy of this whole proceeding needs no further denunciation than the mere statement of these facts. It was agreed that a few volleys should be fired by the soldiers, and a few shells by the American ships. In the carrying out these arrangements all that was necessary was for the soldiers to lie in the trenches, and wait events. When the white flag was hoisted, they could have proceeded into the city of Manila with bands playing, and so have accomplished their work without the sacrifice of a single life; but certain officers desiring glory and promotion, and believing it necessary in the taking of Manila that somebody must be killed, orders were miscarried or were never given, and men were fighting in real earnest. The American left wing received their orders according to prearrangement, for they advanced without precaution on the supposed hostile lines to the music of "There will be a Hot Time in the Old Town To-night"; whilst the men on the right found themselves mixed up in actual battle. The men of the Astor battery were especially unfortunate, for when the order to "charge" came, they had nothing but revolvers in their hands. The American story told of this fight was different, it being given to the world as a victory by the Americans after a determined struggle by the Spaniards. Out of thirty soldiers of the Cazadores, commanded by Captain Miranda and Lieutenant Pola, which garrisoned Fort San Antonio, twenty-three were killed and the remaining seven were wounded by the shells from the American fleet, and a further one hundred men from San Antonio Abad and Santa Ana were killed. General Aguinaldo, speaking of the attack on Manila, says: "In this I took a very active part. Although I was not notified, my forces from the port of Cavite were extended all round the suburbs of Malate, Ermita, Sampaloc, and Tondo. In spite of all these services although the Spaniards would never have surrendered if my forces had not closed every road of retreat into the interior, the American generals not merely left me out entirely in the terms of capitulation, but even asked me to withdraw my forces from Cavite and the suburbs of Manila." The first intimation received by Aguinaldo of the intention of America to take Manila was on the request of an American officer that the Filipino army should withdraw and permit the American soldiers to pass into the city. This the Filipinos immediately did, and the Americans were then ordered to stand with fixed bayonets to prevent them from returning to their former positions. This was a dangerous insult to offer to twelve thousand brave and well-armed men. The attack on Manila commenced at 6.30 A.M., the flag of truce was raised at 10.30 A.M., and the Americans entered the city. "I. The Spanish troops, European and native, capitulate with the city and defences with all the honours of war, depositing their arms in the places designated by the authorities of the United States, and remaining in the quarters designated, and under the orders of their officers, and subject to control of the aforesaid United States authorities, until the conclusion of a treaty of peace between the two belligerent nations. "All persons in the capitulation remain at liberty, the officers remaining in their respective homes, which shall be respected as long as they observe the regulations prescribed for their government and the laws in force. "2. Officers shall retain their side arms, horses, and private property. "3. All public horses and public property of all kinds shall be turned over to staff officers designated by the United States. "4. Complete returns in duplicate of men by organisations, and full list of public property and stores, shall be rendered to the United States within ten days from this date. "5. All questions relating to repatriation of officers and men of the Spanish forces, and of their families and of expenses which said repatriation may occasion, shall be referred to the government of the United States at Washington. "Spanish families may leave Manila at any time convenient to them. " The return of the arms surrendered by the Spanish forces shall take place when they evacuate the city, or when the American army evacuates.
" 6. Officers and men included in the capitulation shall be supplied by the United States, according to their rank, with rations and necessary aid as though they were prisoners of war, until the conclusion of a treaty of peace between the United States and Spain. "All the funds in the Spanish treasury, and all other public funds shall be turned over to the authorities of the United States. "7. This city, its inhabitants, its churches, and religious worship, its educational establishments, and its private property of all descriptions are placed under the special safeguard of the faith and honour of the American army." Under this arrangement the Americans were in possession of some five thousand prisoners, who were quartered in the churches and other public buildings within the old walled city. In clause five of the above treaty the Americans agreed to return the captured arms to the Spaniards when either of the forces vacated the city. It is well known in Manila that Aguinaldo offered to disarm and to withdraw his troops from the positions they then held, if the Americans would undertake not to return the arms and ammunition to the Spaniards. Aguinaldo expected that America would vacate the Philippine Islands upon the completion of the war, and in that event he and his people would have been left again to the mercy of the Spaniards. He, therefore, naturally desired that they should not have their arms returned to them. He received no reply to his most urgent inquiries and requests on this subject, and consequently he was compelled to support a standing army, together with the prisoners he had taken in his wars. The Filipino exchequer was well-nigh exhausted, and his soldiers desired to return to their homes and to their peaceful employments. All through the siege of Manila, the Filipinos had behaved with the utmost kindliness to the British, both in Manila and within their own lines in the interior. Mr. Clark, manager of Messrs. Smith, Bell & Co.'s rice mills at Bayembang, some seventy miles distant from Manila, was provided with provisions and afforded every possible protection from the bravadoes then frequenting the provinces; and to his credit, and to the credit of the Filipinos, it must be said that his mill continued its business and was worked by Filipino employees. Mr. Higgins, the general manager of the railway in Luzon, who resided within the rebel lines all through the trouble, praises in the most unqualified terms the forbearance and generosity of the Filipinos, who, when they needed private property in the cause they were prosecuting, paid for all they acquired, and treated the English with the greatest kindness and respect, whilst the Spaniards both seized and destroyed private property without offering payment of any sort. Referring to the surrender of Manila and the subsequent proceedings taken in Spain, the London Globe in its Madrid dispatch of August 5th, 1899, publishes the following:"The public prosecutor has, after a long investigation into the case of the surrender of Manila, presented his professional findings. He demands the imprisonment for life, and dismissal from the service, of the officers responsible for the surrender. The public trial of General Jaudenes will take place on September Ist." " HEADQUARTERS DEPARTMENT OF THE PACIFIC, "August I4th, 1898. " To the People of the Philippines: "
1. War has existed between the United States and Spain since April 2Ist of this year. Since that date you have witnessed the destruction by an American fleet of the Spanish naval power in these islands, the fall of the principal city Manila and its defences, and the surrender of the Spanish army of occupation to the forces of the United States. 2. The commander of the United States forces now in possession has instructions from his government to assure the people that he has not come to wage war upon them, nor upon any party or faction among them, but to protect them in their homes, in their employments, and in their personal and religious rights. All persons who by active aid or honest submission cooperate with the United States in its efforts to give effect to this beneficent purpose, will receive the reward of its support and protection. 3. The government established among you by the United States army is a government of military occupation, and for the present it is ordered that the municipal laws, such as affect private rights of persons and property, regulate local institutions, and provide for the punishment of crime, shall be considered as continuing in force, so far as compatible with the purposes of military government, and that they be administered through the ordinary tribunals substantially as before occupation, but by officials appointed by the government of occupation. 4. A provost-marshal general will be appointed for the city of Manila and its outlying district. This territory will be divided into sub-districts, and there will be assigned to each a deputy provost-marshal. " The duties of the provost-marshal general and his deputies will be set forth in detail in future orders. In a general way, they are charged with the duty of making arrests of military as well as civil offenders, sending such of the former class as are triable by courts martial to their proper commands, with statements of their offences and names of witnesses, and detaining in custody all other offenders for trial by military commission, provost courts, or native criminal courts in accordance with law and the instructions hereafter to be issued. 5. The port of Manila and all other ports and places in the Philippines which maybe in the actual possession of our land and naval forces will be open while our military occupation may continue, to the commerce of neutral nations as well as our own, in articles not contraband of war and upon payment of the prescribed rates of duty which may be in force at the time of importation. 6. All churches and places devoted to religious worship and to the arts and sciences, and all educational institutions, libraries, scientific collections, museums, are, so far as possible, to be protected, and all destruction or intentional defacement of such places or property, of historical monuments, archives, or works of science, is prohibited save when required by urgent military necessity -severe punishment will be meted out for all violations of this regulation. "The custodians of all properties of the character mentioned in this section will make prompt returns thereof to these headquarters, stating character, and location, and embodying such recommendations as they may think proper for the full protection of the properties under their care and custody, that proper orders may issue enjoining the co6peration of both military and civil authorities in securing such protection. 7. The commanding general, in announcing the establishment of military government, and in entering upon his duties as military governor in pursuance of his appointment as such by the government of the United States, desires to assure the people that so long as they preserve the peace, and perform their duties toward the representative of the United States, they will not be disturbed in their persons and property, except in so far as may be found necessary for the good of the service of the United States and the benefit of the people of the Philippines. (Signed) WESLEY MERRITT. "Major General United States Army commanding." In this proclamation, the Filipinos failed to recognise the cloven hoof which later was to destroy them. They believed in the truth of General Merritt's public announcement upon the walls of Cavite " that the American people do not come to make war upon the Philippine people." They believed in the integrity and honesty of America as a great nation; but simple in their confidence they did not understand that the American government was changing its policy and compromising its people in order to exterminate their former Filipino allies. Difficult as it is to believe that this was so, there can be little question of its truth, for on August 19th, I898, Acting Secretary Allen cabled to Admiral Dewey: - " Answering your cable, the President answers as follows: There must be no joint occupation with insurgents. The United States in the possession of the city, bay, and harbour of Manila must preserve peace, protecting by military and naval forces. Insurgents and all others must recognise the military occupation and authority of the United States, and the cessation of hostilities proclaimed by the President. Use any means in your judgment necessary to this end. ' All law-abiding people must be treated alike.'" " By the direction of the President, you will exert your influence, during suspension of hostilities between the United States and Spain, to restrain insurgent hostilities toward Spaniards, and, while maintaining a position of rightful supremacy as to the insurgents, to pursue, so far as possible, a conciliatory course to all." The course of action taken by the United States government was criminal, if only for its stupidity. The so-called insurgents, as has been shown, were anxious and willing to disarm. They merely desired, and properly so, some recognition and explanation as to the future policy of the American government, some grateful courtesy at the hands of those whom they had assisted in conquering the enemy; and they had justly earned some consideration other than insults and the grossest ingratitude. This was the general opinion of all persons in Manila, including the American soldiers and the American officers who repeatedly told me that they were unable to understand the government policy, or what was the course of action to be pursued. Admiral Dewey did everything in his power to conciliate both Spaniards and Filipinos as far as "the spirit of the department's instructions" permitted. His position was most difficult and trying, and Aguinaldo well understood it, and at no time have I heard him blame Admiral Dewey, for whom he had the highest regard, and who, he believed, desired to carry through the original intention of the war, viz., the declaration of Philippine independence. The Filipinos were as surprised as the British and other foreigners in Manila upon the arrival of contingent after contingent of United States soldiers the reason for which none could understand, as the Spanish troops had been conquered, and her fleet had been destroyed, and the cause for the waging of war had entirely ceased. The Filipinos were friendly, awaiting only the peaceful dictates of the United States government, and therefore required no forces to keep them in subjection. Major General Otis arrived on the 22nd of August, I898, with some four thousand more American volunteer troops to relieve General Merritt, who had been ordered to Paris to act as one of the commissioners at the Paris conference. His opinion of the Filipinos at that time was decidedly favourable, for on the 2nd of October, I898, on his arrival at Marseilles, on the steamship Arcadia, a correspondent of the New York Herald reported that General Merritt had said:" It is a pure falsehood, -the story spread by the Spanish and pro-Spanish press to the effect that the Filipino population is hard to govern,- in spite of misgovernment they are still quite tractable-they have been grossly misrepresented —the men are obedient and affectionate, the women deeply interested in their domestic duties. I did not meet Aguinaldo, but I was told before my arrival that he was troublesome and arrogant." On the Monday following the above date, the same newspaper announced General Merritt's arrival in Paris, and reported as follows: — "The Filipinos impress me very favourably. I think a great injustice has been done the native population. I have found the Filipinos susceptible to good treatment, and I am certain they would always prove grateful in return for fair dealing. They are much superior in general points of character to the natives of kindred people in any other part of the world. They are more capable of self-government than, I think, the Cubans are. They are considered to be good Catholics. They have lawyers, and doctors, and men of kindred professions, who stand well in the community, and bear favourable comparison with those of other countries. They are dignified, courteous, and reserved." " It was impossible to recognise the insurgents. I made it a point not to do so, as I knew it would lead to complications. I think Admiral Dewey, after my arrival, pursued the same course. What was done before, is not a matter upon which I can comment. I purposely did not recognise Aguinaldo, nor his troops, nor did I use them in any way. Aguinaldo did not ask to see me until ten days after my arrival. After that I was too much occupied to see him. In talking to the leading Filipinos, I told them that the United States had no promises to make, but that they might be assured that the government and the people of the United States would treat them fairly. This, because the United States was in the habit of dealing fairly with all struggling people, and not because I had been authorised to say anything of the kind. We purposely gave the insurgents no notice of the attack on Manila, because we did not need their cooperation. We were moved by the fear that they might loot, plunder, and possibly murder. Aguinaldo's men and subordinate leaders in conversing with the American officers would frequently say that they intended to cut the throats of all the Spaniards in Manila. Aguinaldo himself wrote a letter, complaining that the Filipinos had been denied their share of the booty. Whatever he may have meant by that, I took no notice of the letter." "General Merritt does not deny the facts contained in the Filipino appeal, but on the contrary it may be gathered that this appeal is the natural outcome of his policy, which is similar to that observed toward the Filipinos by their late masters, the Spanish. I think that no importance ought really to be attached to the General's statements, because he confessed that he had not been authorised to say anything as to promises, nor as to the form of government to be established in the Philippines. General Merritt said that it was impossible to recognise the insurgents; but he confessed that Admiral Dewey pursued the same course only after General Merritt's arrival, which implies that recognition was made before from the fact of his declining to comment on it. The blame of such recognition he puts on the shoulders of Admiral Dewey, and nothing is forthcoming to show that President McKinley disapproved of the action of the latter. General Merritt boasts of his repeated refusal to receive General Aguinaldo, or to take any notice of his letters. Admiral Dewey constantly received General Aguinaldo on board his flagship with full military honours. General Anderson, commander of Cavite, attended the reception in the Royal Athenaeum, and General Greene, during the voyage from Hong Kong to San Francisco on board the American transport China, treated me with the greatest consideration. He always allotted me the place of honour as the official and legal representative of the national government of the Philippine republic. Furthermore, President McKinley, attended by one of the under secretaries of the foreign department, received me with every courtesy at the White House. In respect to General Merritt's statement, that he did not recognise either Aguinaldo or his troops, and that he purposely gave no notice of the attack on Manila, I may mention that Aguinaldo had previously to that established his government, and controlled the whole island of Luzon, without opposition from General Merritt. Indeed, on the contrary, the local American authorities entered into arrangements such as are accepted by the equity of nations between the authorities and officials of two different states. Perhaps General Merritt did not need the cooperation of the Filipino troops, but he forgets that Admiral Dewey supplied Aguinaldo, on the arrival of the latter at Cavite, with a hundred and fifty rifles to commence operations against the Spanish army; and that Aguinaldo was implored by the commander of the Petrel, by the consuls of Singapore, Hong Kong, and Manila, and by other officers who led the natives against the Spaniards in combination with the American forces, and with that object in view he, with seventeen of his staff, was taken from Hong Kong to Manila in an American transport. To pretend that the American army was solely responsible for the so-called conquest of Manila and Cavite, and to refuse the Filipino troops their share of that work, is mean and unfair, and is not the truth." Senor Agoncillo indignantly denies the suggestions of looting or outrages by the Filipinos. "Such accusations," he says, " are simply baseless." The first act of Admiral Dewey was to deliver to Aguinaldo the prisoners taken by the Americans in the battle of the bay of Manila. Before the arrival of General Merritt, the insurgents were in possession of the whole province of Cavite and a portion of Luzon. After his arrival, they continued their conquest, and secured victories both in Luzon and in Bisayas. "Although they now have in their possession fourteen thousand prisoners, they never loot, plunder, or murder any one; but, on the contrary, they have always strictly observed the rules of war, in accordance with the principles of modern civilisation, and never failed to do everything in accordance with humanitarian principles. General Merritt's honesty should debar him from attributing to General Aguinaldo, the loyal ally of America, a claim on the part of the Filipinos for a share of the booty. 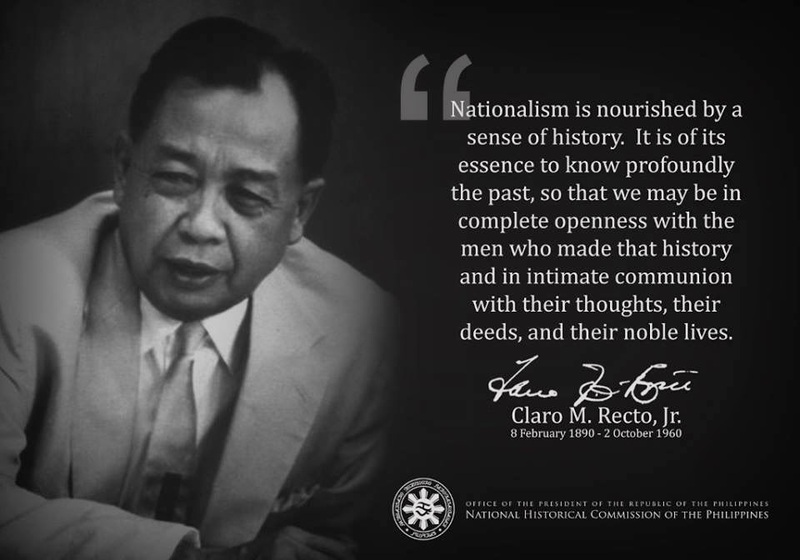 His reference to the Filipinos as children is a simple echo of the Spanish saying, and he, like the Spaniards, may discover his error too late. Now that the Spaniards are defeated, they are convinced of the great historical mistake which caused the war carried on by Aguinaldo since I896. The competence of the natives to govern finds full evidence in the present administration, and in the law, order, and morality which prevail in the districts now under control." Thus Senor Agoncillo answered General Merritt's statements, point by point, and threw upon him the burden of proving his suggestions. His allegations as to the Filipinos claiming a share of booty in connection with the taking of Manila were based upon secondary evidence. If he had received a letter, as he suggested, from General Aguinaldo, embodying those alleged claims of the Filipinos, why has he not published it? Further, supposing they had so claimed their share, would it have been unnatural, and what soldiers were better entitled than they who had taken so active and so prominent a part in defeating Spanish forces in the Philippines? But can General Merritt reconcile his two statements? In the first, he corroborates all that Admiral Dewey has said; and in the second, he corroborates Aguinaldo, and proves that the latter and his people have undoubtedly been misled. "Admiral Dewey considers it absolutely necessary that a first-class statesman be sent to Manila to thoroughly investigate the situation, and to ascertain the aspirations of the Filipino republicans." Here was the opinion of the only man competent to give one on the subject. He well understood it, having been in the Philippines from the commencement of the war, and having seen the principal and most important actions in the American and Spanish war in the East. Did the American government follow the advice of Dewey, and, if not, why not? The people of America should demand an answer, and that answer should be a reason, and not an excuse. Among the current 538 published posts in my blog, I consider the following listed post-links and the RECTO READER as essential introduction about us native (indio)/ Malay Filipinos. The list is therefore always presented at the bottom of each newly issued post. Point-and-click at each item to open and read. Primary Blog Posts/Readings for my fellow, Native (Malay/Indio) Filipinos-in-the-Philippines.